Tyson Jones knows the value of owning residential, resort and investment properties. 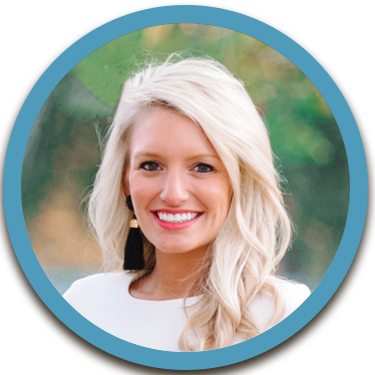 Tyson strives to provide superior service with the utmost professionalism to meet any real estate needs for her clients. She has consistently shown the ability to satisfy clients in the buying and selling of their homes. Clients choose to work with Tyson for her ethics, experience and expertise. The Grand Strand offers many lifestyle choices from the oceanfront, the waterway, single-family homes to condos; a variety to meet one's style. Whether your are looking to buy or sell, Tyson is the agent for you. She can sell YOU the south! My testimonial for Tyson Blount is an easy thing to write due to the great services i received from her. I must start out by saying i had a condo i wanted to sell sooner than later due to the increased undesired neighborhood change so this was a big stress on my mind being 5 states away. But i also wanted to obtain a new place so i wasn't without a place in Myrtle Beach. Without Tyson's help i don't think things would have worked out in the deal that took place. During the transactions there were roadblocks to pass and Tyson was quick to guide me around them. She would say. There is a roadblock but would assure me she would take care of it.Sure enough she kept things rolling and in as fast a pace as possible. This really helped build my trust in her which was a quality i looked for in an agent. She was also quite knowledgeable and perhaps the best quality of all which can't be taught to anyone is her sincerity which came from the heart. That quality is without doubt one that shows ones true character. For that reason i will always return to her for my services because i am from the heart kind of person. She was able to advise me on the sale of my condo which she really wouldn't of had to involve herself in. She also handled all the foreclosure and Home Path obstacles which at times appeared to be deal enders She never complained or gave up her effort to succeed. That';s why i say without her help i wouldn't be the happy home owner i am and i will always be grateful for that This is why i would not hesitate to refer her services to anyone. She is simply the GREATEST. Thank You Century 21 Boling for hiring her as an agent. Charles R.
Tyson's knowledge and performance was outstanding. She is very personable and willing to go the extra mile to meet her client's needs. She couldn't have been any better. Evelyn B.